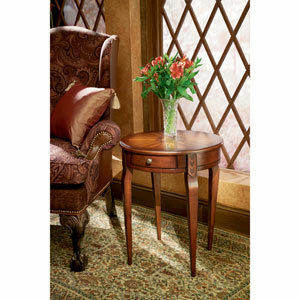 Selected solid woods and choice cherry veneers. 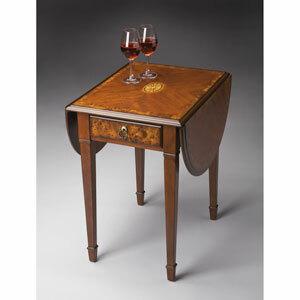 Maple, walnut and cherry veneers inlay design top. 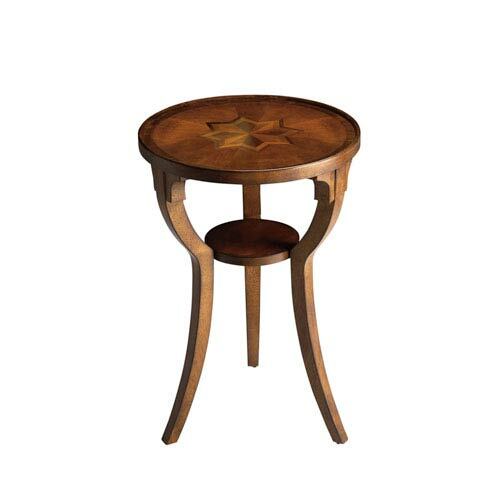 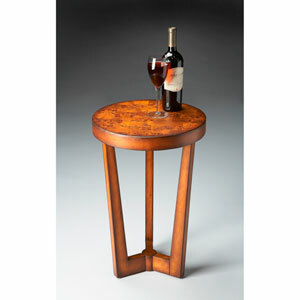 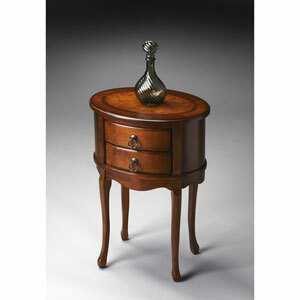 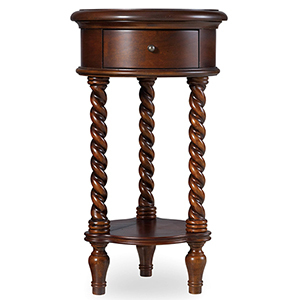 Olive Ash Burl Round Accent Table is rated 5.0 out of 5 by 2. 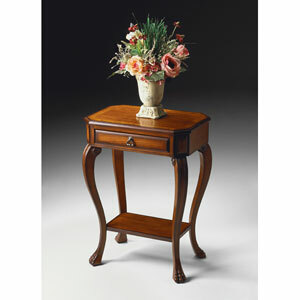 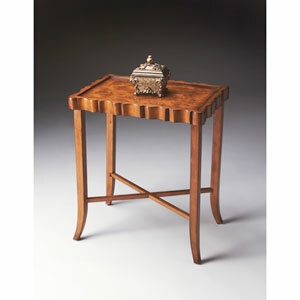 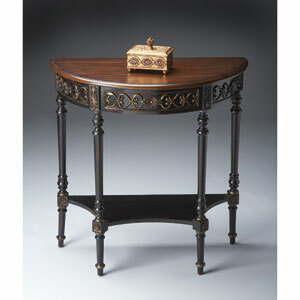 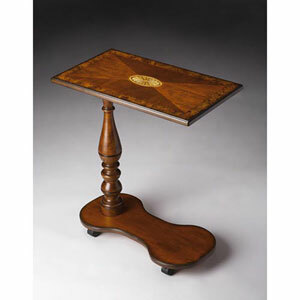 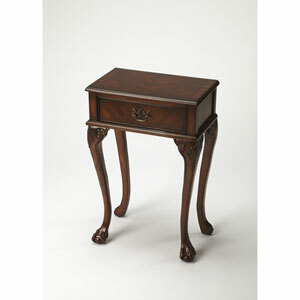 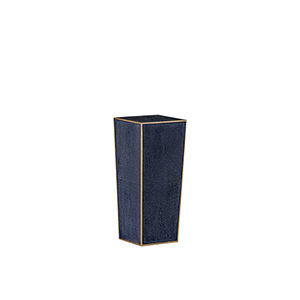 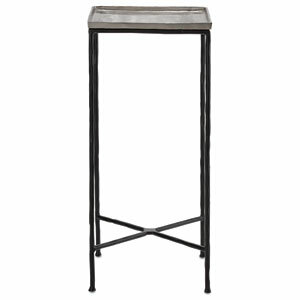 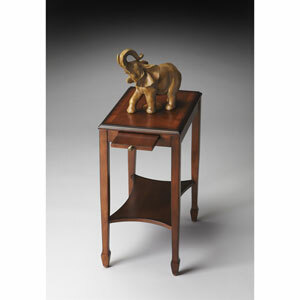 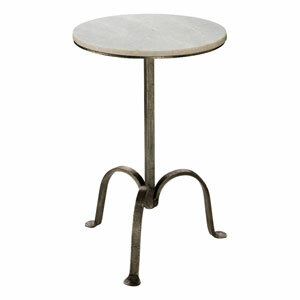 Rated 5 out of 5 by RobertK from Attractive Looking Table This is an elegant looking table and very decorative. 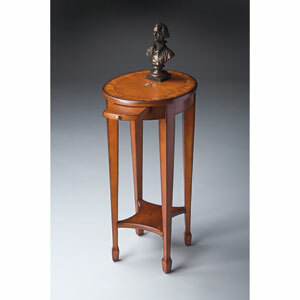 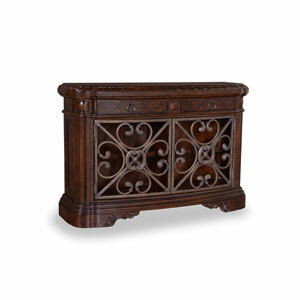 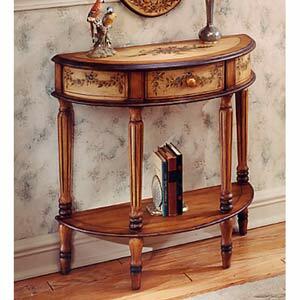 It is well made and has very nice detail especially with the wood inlay on the top. 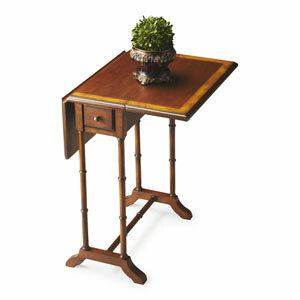 The table is best used as a display table for knickknacks or a plant or otherwise and that is what we intended to use it for. 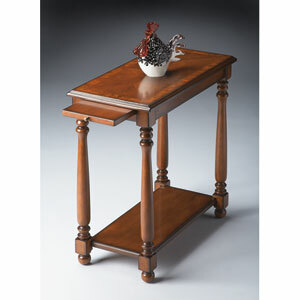 Even though its sturdy enough to hold heavier objects the 3 leg construction makes it a little tippy. 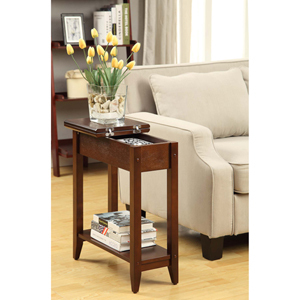 Rated 5 out of 5 by Fyrne from Beautiful table! 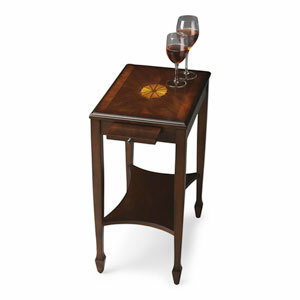 We live his little table. 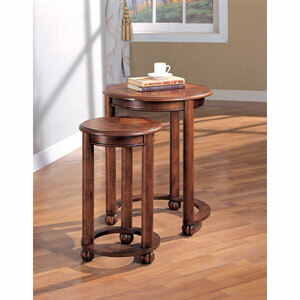 Great for chairside use.